A highly successful person will know when to delegate a job. When to pass that hat to someone else! IT administration & security is one of those hats that no business owner should wear themselves. That is, unless you are in the Cyber security business yourself! It doesn’t matter which hats you delegate, but delegate you must… in order to succeed in business, you need to find someone to offload some tasks to. 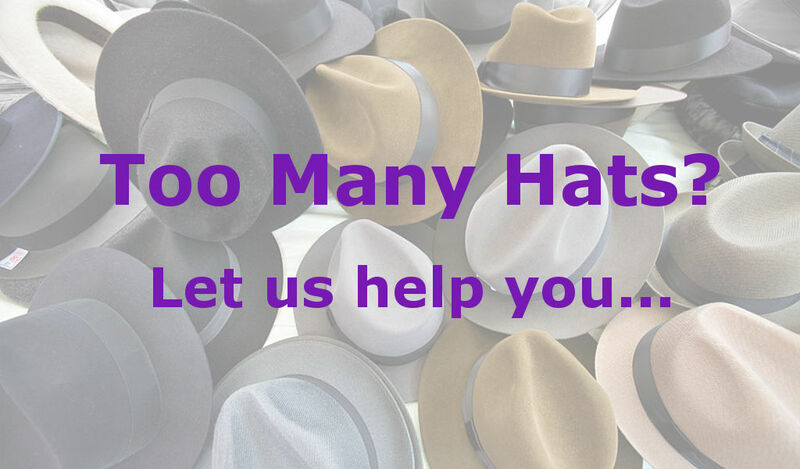 The good news is, we’re here to help you with the IT Administration and Cyber Security – and those tasks make for a very heavy hat! Do you realize how much needs to get done just to keep you safe? … to name just a few. But what about some that you might not handle on a regular basis? Checking for SMART errors on the hard drives. Driver and firmware updates for monitors, printers, access points and routers. Ensuring that your backups took place and were successfully mirrored offsite. Running regular cleanups and tuneups on your PCs to extend their useful live span. Planning replacement cycles for hardware. Yes, Take this hat away from me!